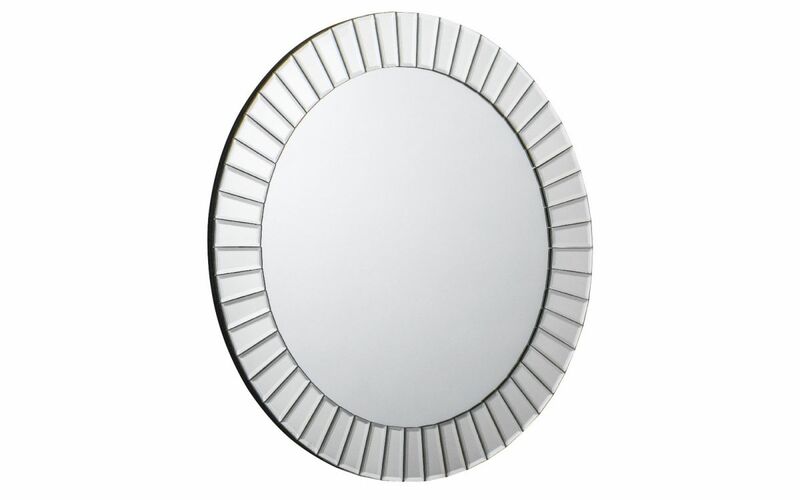 The Sonata round wall mirror is a clean and contemporary design. Constructed from a hardwood base with a stunning beveled glass front, this mirror is sure to be the focal point of any room. The Sonata is easy to mount, making it practical for everyone.